I make this all.the.time. It’s creamy, delicious and SO incredibly easy to make. 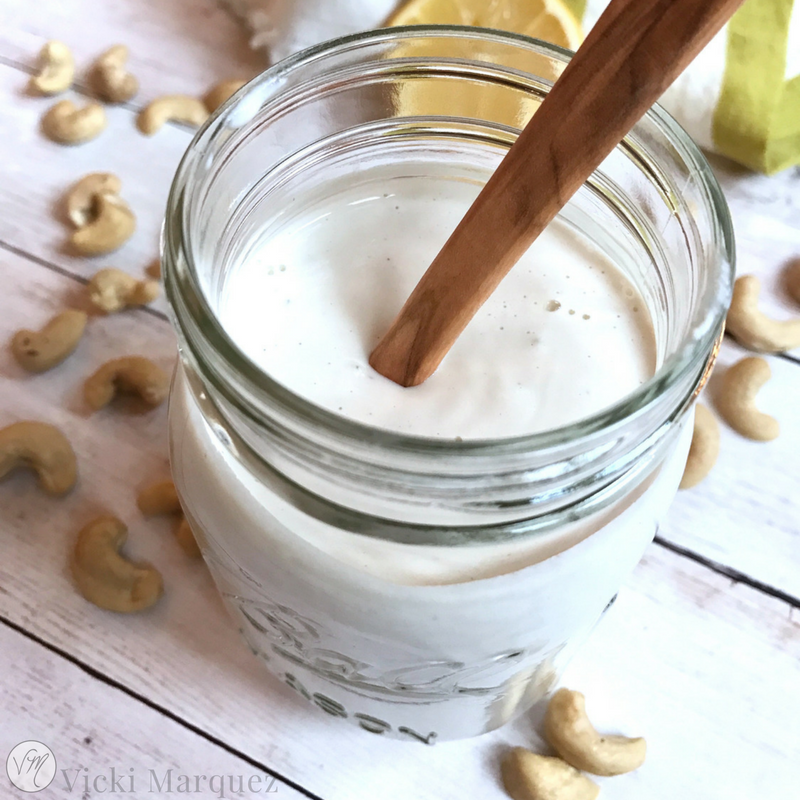 And when I say easy, I mean…5 ingredients, 2 minutes, 1 blender and BAM – you’ve got a scrumptious plant-based sour cream for your tacos, enchiladas, casseroles, soups, baked potatoes and quinoa bowls. 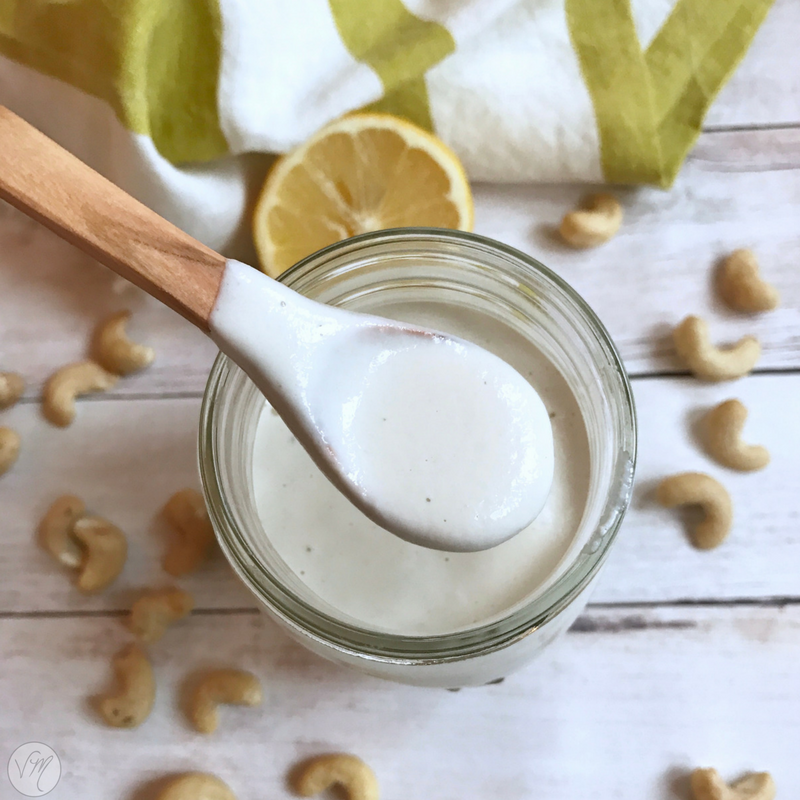 Whether you’re vegan, lactose-intolerant or just trying to cut back on dairy, this Cashew Sour Cream is gonna be your new best friend! Add water to thin out and blend until you have reached your desired consistency.